Number pattern problems using only subtraction operations. 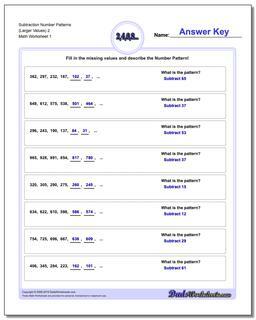 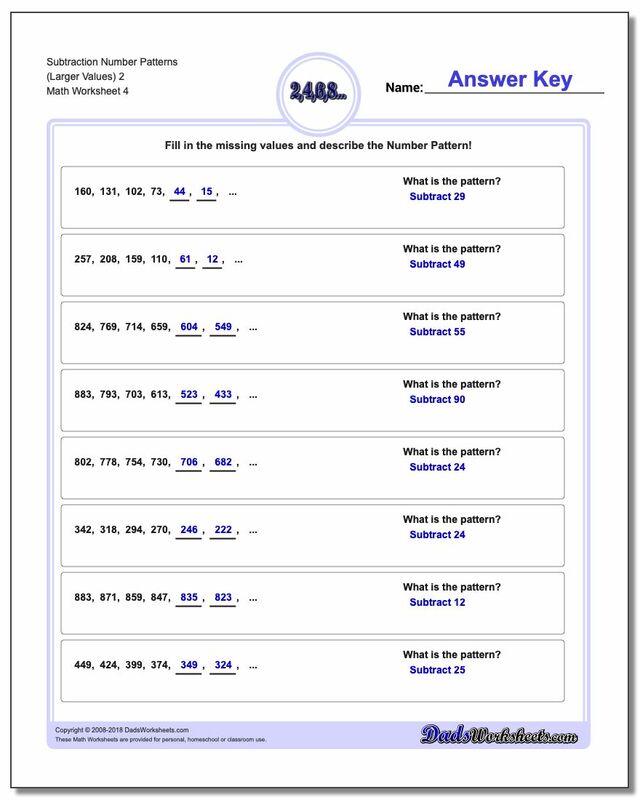 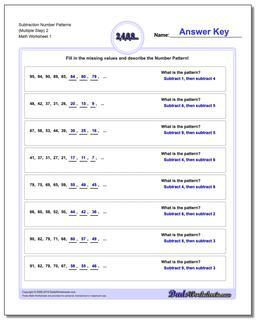 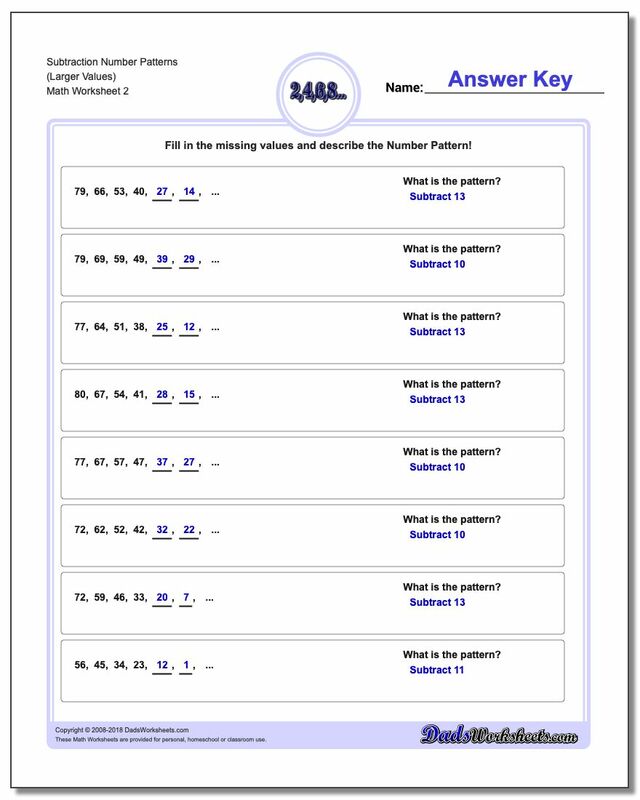 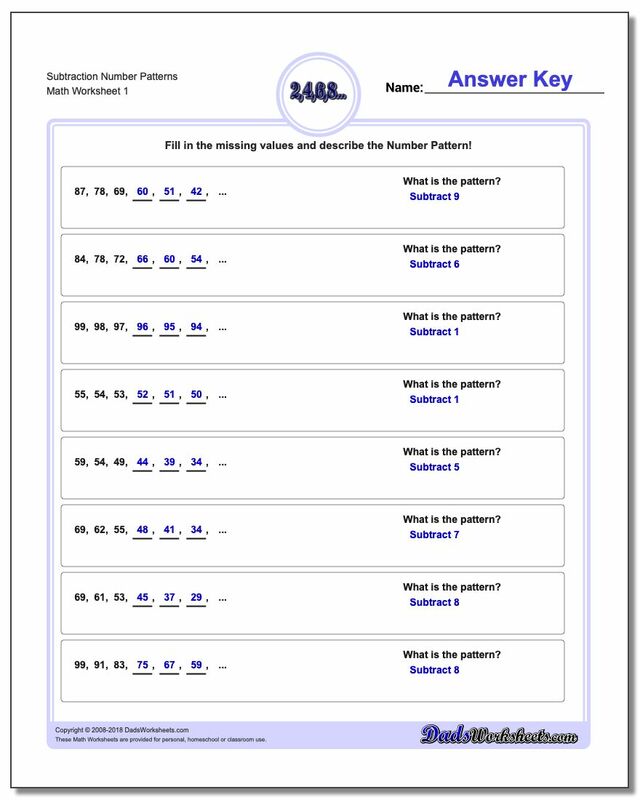 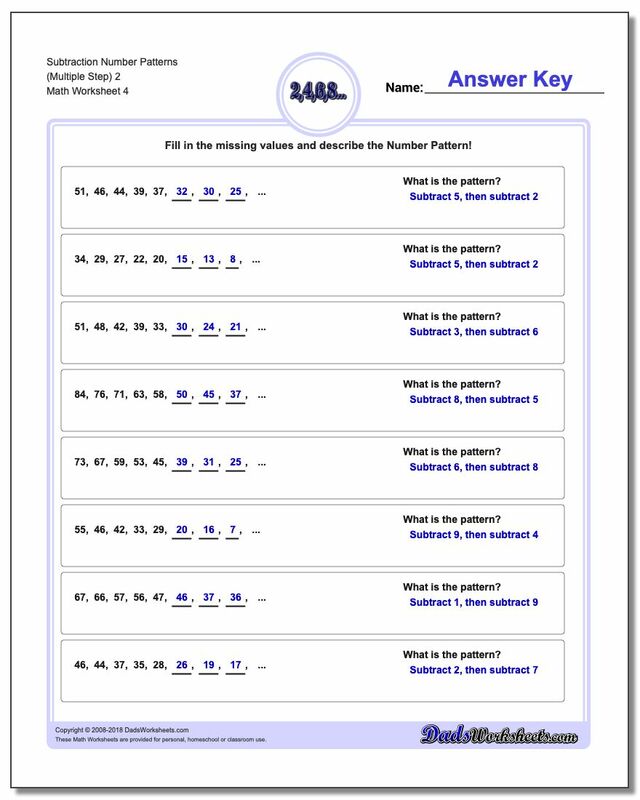 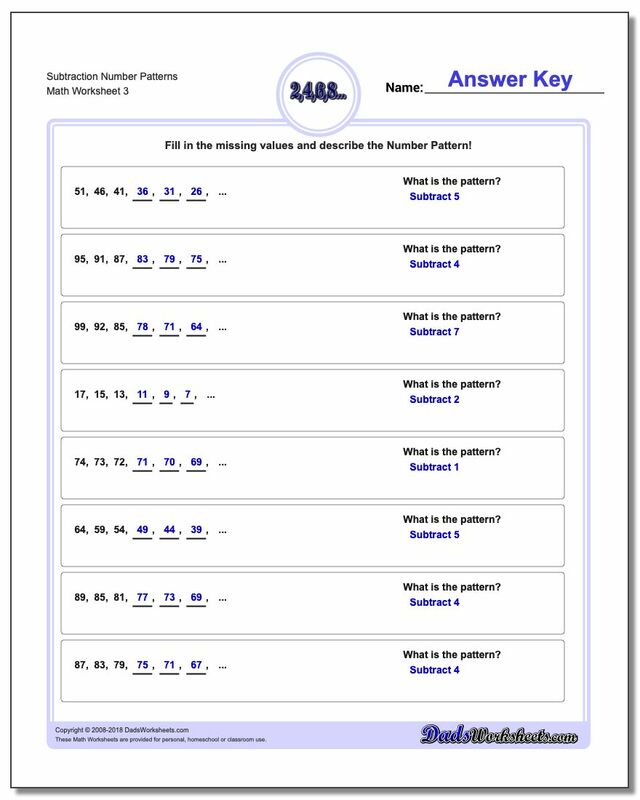 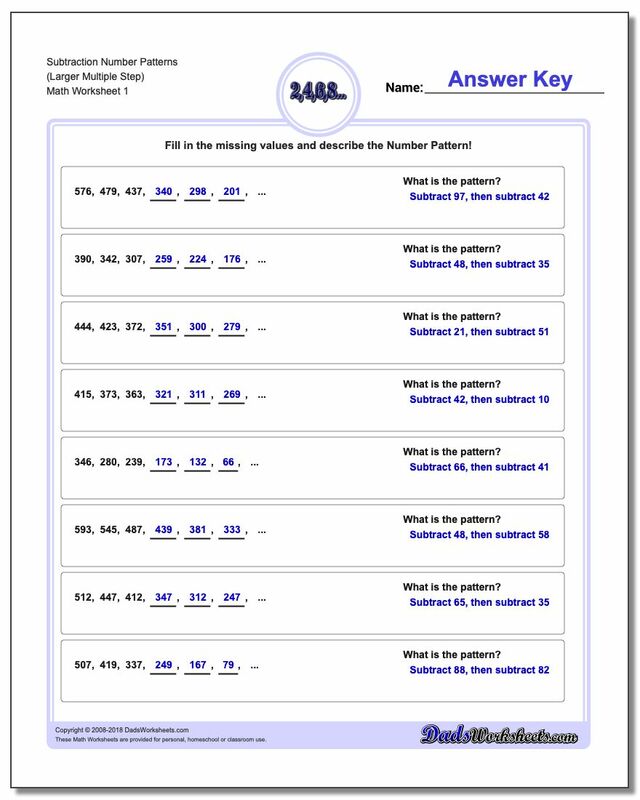 Have your students mastered the basic addition number pattern worksheets already? Working on Common Core requirements for 4th and 5th grade? Time for subtraction number patterns! 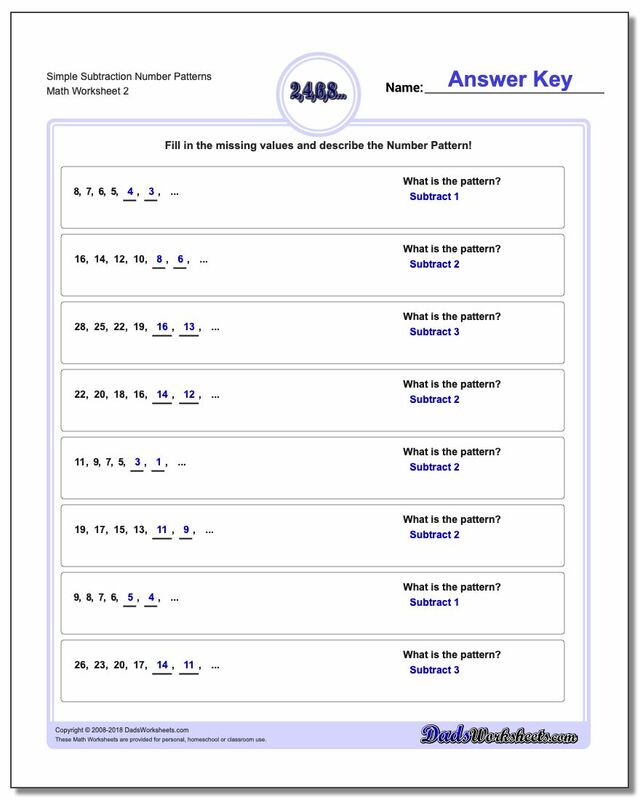 These worksheets deal with number sequences that are decreasing, so the pattern rules will involve subtraction operations. If students are having trouble mastering addition number patterns where they need to fill in values to the left of the pattern, practice with these may help.